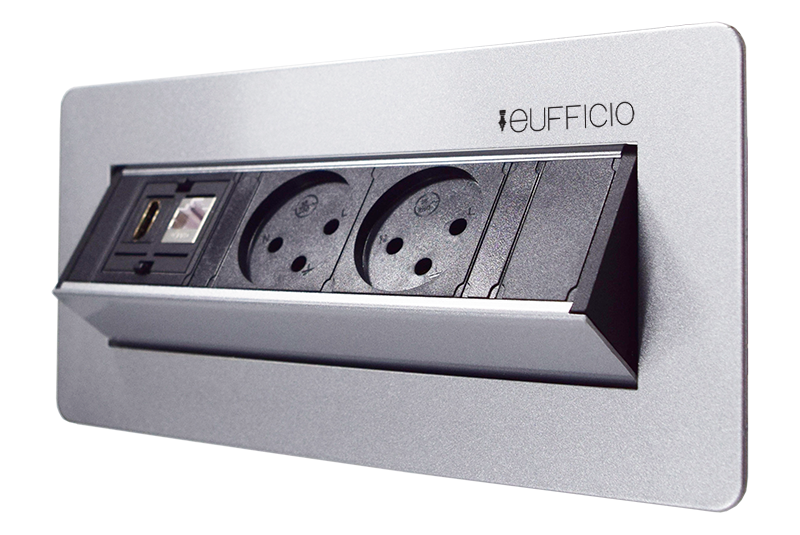 Eufficio offers modern range of in desk/in table products fulfilling customers desires for every requirement and application. 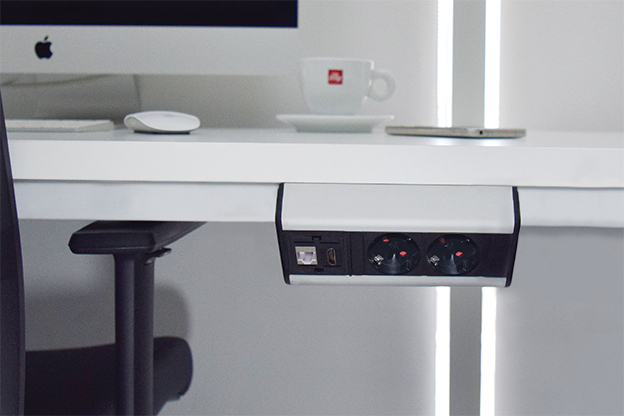 Eufficio offers On Desk Power & Data stations for surface installation on desks, on tables or any desired surface. 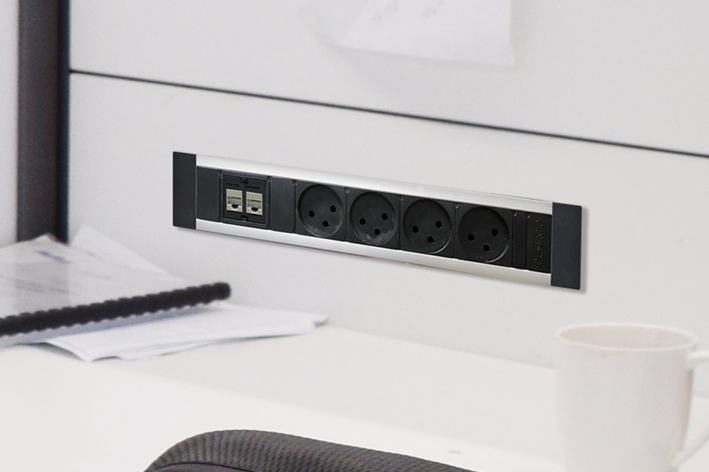 With the In wall solutions, Eufficio offers complete luxurious design to your office, hotel, Open space ,halls and many more. With the On wall solutions, Eufficio offers complete luxurious design to your office, hotel, Open space ,halls and many more. 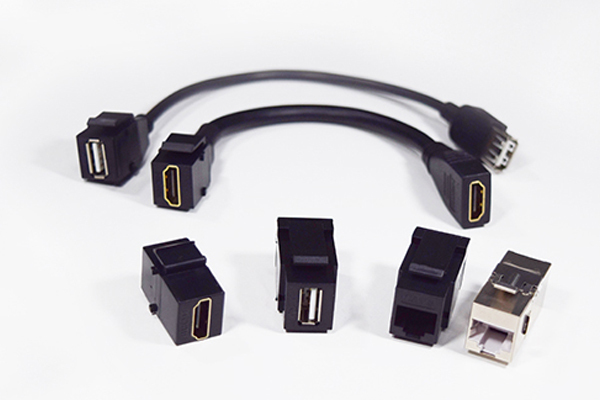 Eufficio provides wide range of power connectors & cables. 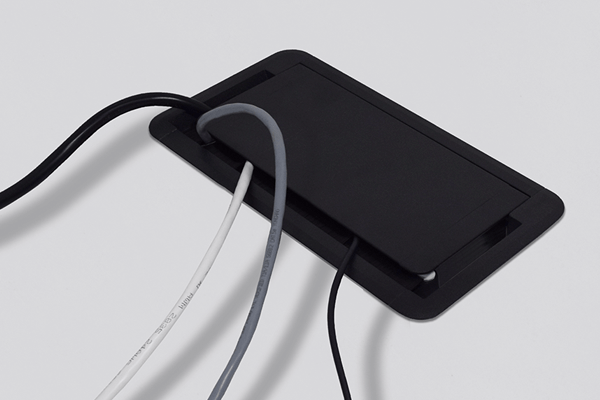 Also with accessories that will help you to manage the cables better. 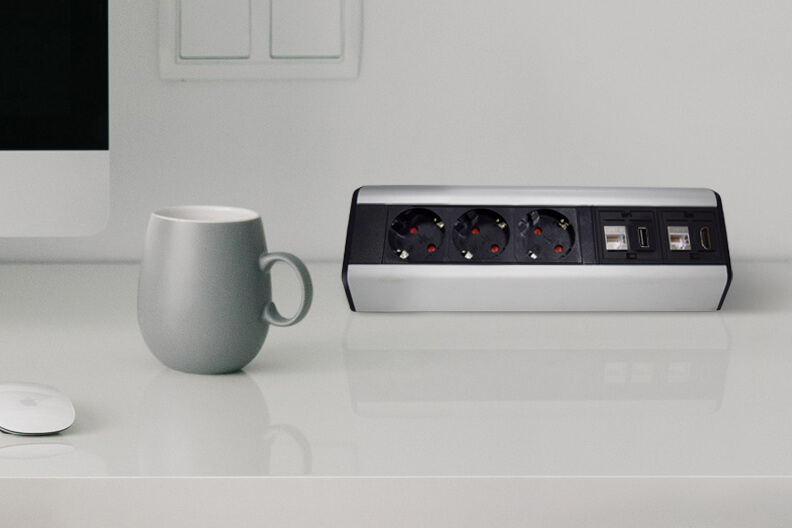 Multimedia, Ethernet, Data, Network and many more. 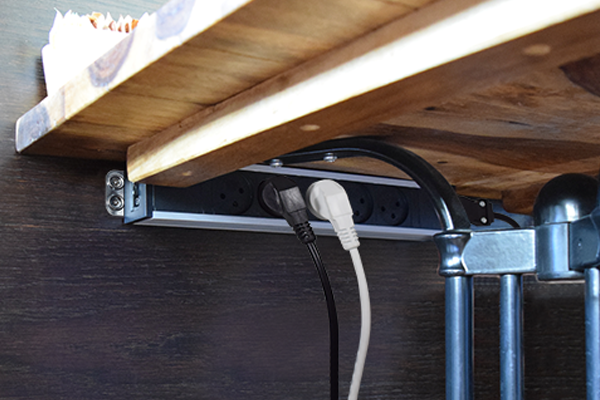 Eufficio provide wide range of accessories for any need and usage. We plan, we research & we coordinate each of our steps through development process implementing top technology in our work stations, promising technological advantages to our end users. We merge art into technology by hiring painters & sculptors to be part of our R&D team to ensure artistic values to our power stations for touching the Basic human instincts of harmony, balance & rhythm. We hire ergonomics specialists to assure optimal interaction between each of our power stations and the people who use them for better human comfort, health and performance during usage. 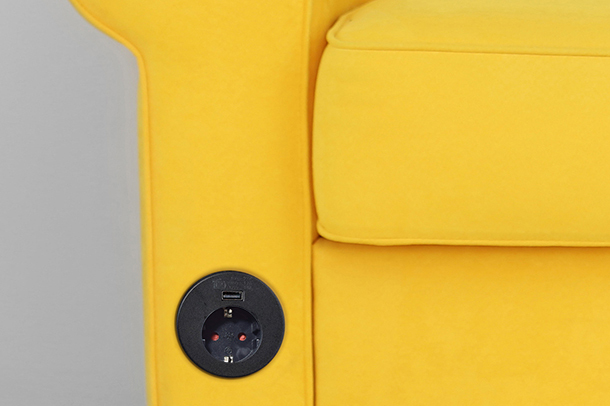 You can simply place our product in your furniture, conference hall ,desk, table, kitchen sofa and many other. In addition to that, no skills or prior experience is needed in installing and using it. 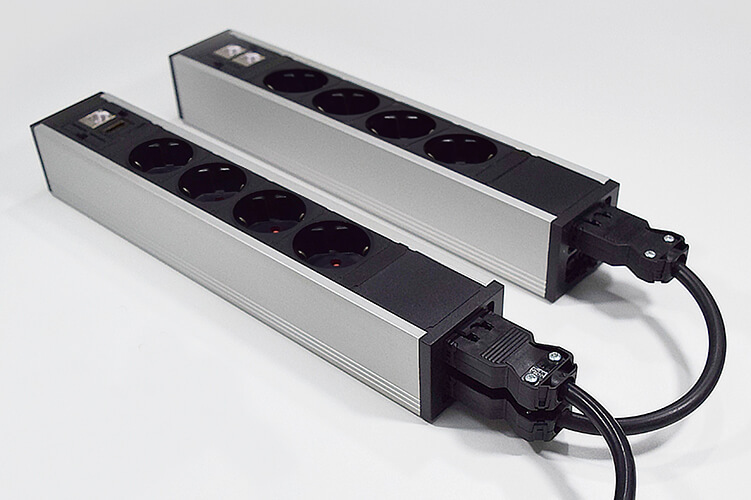 This is the reason why our products are preferred in high tech companies and offices. No need to be Electrician to install the power station. 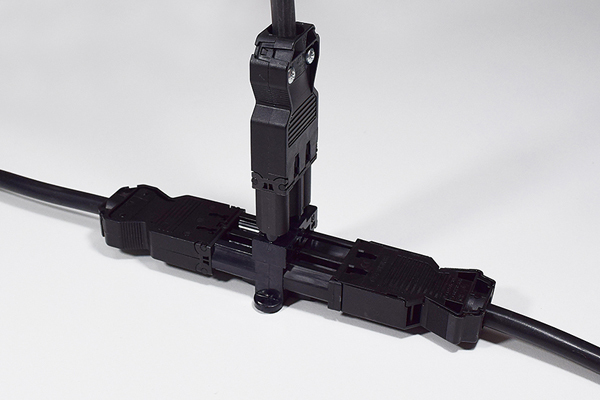 By the modular design and by the usage of GST connectors, the products can be installed and connected to power easily without the need of professional. Have question?Need service or support? Start your request online and we’ll find you a solution.